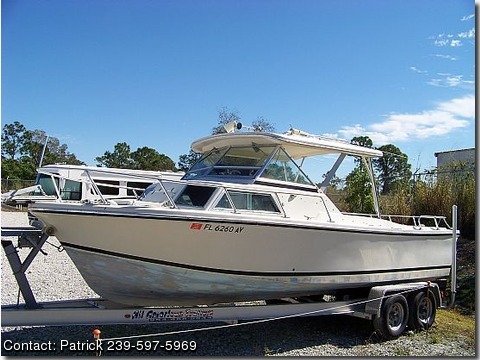 Stamas 24' Boat hard top cabin cruiser. Need a boat to take to the Keys? This boat is ready for fishing, scuba diving, and cruising. It has a V berth sleeper with head. Good gas mileage. 7 gal per hour cruising at 30 mph! This boat has been in the family and well cared for. Powered with a 460 OMC King Cobra in excellent condition.